The main hall hosted the catwalk and acts. The Catwalk Show was directed by Samantha Watson who was nominated best female model and best stylist wardrobe at the Beffta 2011. It showcased one of the most promising ethical fashion brands & Designers such as Fee Uhssi Multicultural & Ethical Fashion, Bolo’no Mali, Crystal Padmore, Kindom clothing. Also ‘The Art of Wrapping Dance Performance’ created by Fee Uhssi & choreographed by Giada Nazarri featured, performing this Art in a burlesque inspired dance performance Fee Uhssi created the art of Wrapping Kit, a two pieces kit inspired by African and Japanese Art of wrapping, allowing creating different outfits, garments & accessories by using different techniques of wrapping and draping. A Ticket raffles was held to raise money for Bolo’no Mali charity, among the prices to win an exclusive piece from Fee Uhssi’s Ede Aso collection & more surprises & goodies. Felli Uhssi Ubrette aka Fée Uhssi is a Parisian born Stylist & Fashion Designer and PR Consultant who lives and works in London since 2006. The name of the brand reflects the double identity of the French / Nigerian designer, Felli is shortened to “Fée” the French for fairy, and “Uhssi” her Nigerian name meaning “1st marvellous girl”. Fée Uhssi was always into fashion & stylist, she grew up in a very creative environment and has a natural sense of style and elegance, and an eye for mixing and matching colours. She has always been noticed for her original, colourful, stylish and elegant outfits since her teenage years and been recognised as a trendsetter from a young age, she started designing her own garments at the age of 17. Creative but also very business orientated, Felli studied Information & Communication at La Sorbonne in Paris and achieved a masters degree with a specification in Art & Communication and Intercultural Communication, while studying she has been working in different companies in the media industry. Graduated, she started her career as a PR/ Media consultant and been working for 5 years in PR and Communication agencies in Paris and London. Outgoing and always showing a positive approach to life Felli, who is also a proud mother of a 4 years old girl, is always after new challenges. 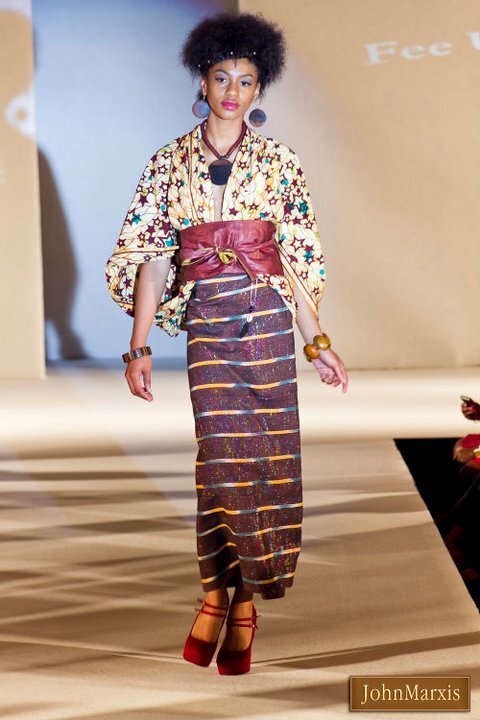 She launched her fashion label Fée Uhssi Multicultural & Ethical fashion in 2010, and been showcasing her collection in many shows such as Fashion Finest, Fashion Capital, Ethical Fashion Forum, Africa Fashion Week London. She also has been involved in charity Fashion shows to support charity projects for children in developing countries. She also been organising her own fashion shows since 2010 to promote ethical fashion, and lunch Fairetail in July 2011 to highlight new talents and raise awareness about ethical fashion, business and lifestyle. 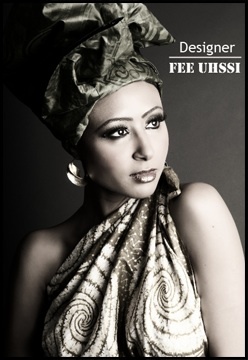 Fée Uhssi is an ethical and multicultural fashion label offering clothing and accessories created by combining African and European high quality fabrics. Fée Uhssi was founded in the UK in 2010 by Felli Uhssi Ubrette aka Fée Uhssi. Fée Uhssi loves playing with colours and prints and her work is a constant research on finding the harmony while blending colours, prints, textures, styles, looks, and cultures; taking inspiration from all over the world. Her aim is to marry her interpretations of concepts from European high fashion with African couture to come up with truly unique designs. The brand is all about balance, harmony, beauty and unity in diversity. The Fée Uhssi line is divided into two separate clothing ranges each drawing on their own unique points of inspiration. 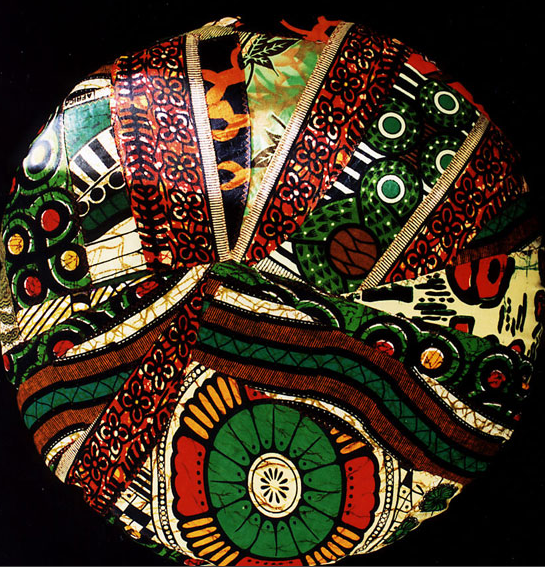 The Ede Aso collection is inspired by the African Art of Wrapping with reversible and multi-function designs. These styles aim to reinstate the ancient sense of elegance from Africa by experimenting with different ways of draping and wrapping fabrics around the body. The Ede Aso collection is also the result of a reflexion on sustainability, by creating multifunction, reversible, interchangeable garments, Fée Uhssi offers a sustainable and timeless wardrobe. The Ede Aso collection line she offers garments which can be worn by women from size 8 to 16 with no discriminations. The Isis Collection is a range of more structured garments which take their inspiration from haute couture and modern trends. It’s all about style, elegance and encompassing every culture. Mixing interpretations of concepts from great designers such as Dior, Saint Laurent, Gaultier, Westwood and Galliano with African fashion to come up with truly unique designs. These two ranges combine to create the brand Fee Uhssi, a line of clothing that aims to make woman feel great in mind, body and soul by using sustainable and eco-friendly natural fabrics to create stunning garments and in turn promote slow fashion. It’s all about feeling good in order to look good! Fée Uhssi always been aware about exploitation and environmental issues in the fashion industry, and is aiming to spread the word for people to be more conscious about where the clothes they buying and wearing are coming from. That’s why it was an evidence to start her own ethical fashion label and company. Fée Uhssi works with organisations to help develop the sustainable structure across the world and seeks out people and businesses that share and support the beliefs of the Fee Uhssi brand. Fee Uhssi works tirelessly to promote the use of sustainable, eco-friendly materials, to promote handmade, traditional and natural fabrics from Africa and Europe and to raise awareness of issues in the textile industry as well as helping to promote hand craft techniques and skills within the fashion and textile industry. Fée Uhssi works closely with charities and organisations in a fair trade and ethical way, in UK she manufactures her collection at HEBA women project based in Brick Lane, London, a charity founded 25 years ago to support women from Asia and provide them training in English, fashion and dress making. And in Mali, West Africa works alongside the Bolo’no Mali charity, an organisation founded 10years ago to preserve and promote natural cotton from Mali and Africa and traditional techniques of fabric making and Art of dying fabrics with plants & clay. It is all about promoting handmade work and natural materials and support artists and artisans in Africa and help them building sustainable businesses. Felli is an active member of the charity since its launch. She is personally working with them to promote their work and vision. Bolo’no Mali is a charity based in Mali West Africa. 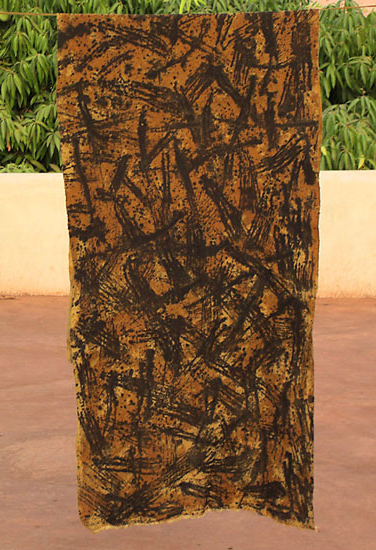 Bolo’no means the print of the hand hence hand-made in Bambarra (official language in Mali). 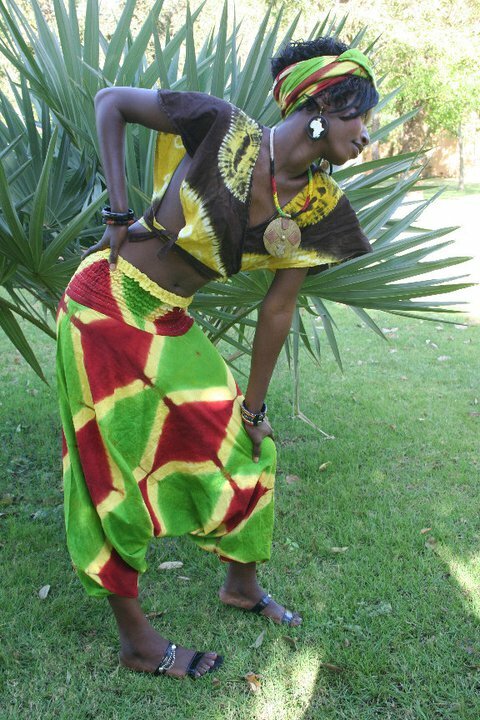 Bolo’no Mali produced natural and handmade fabrics in Mali while putting together community and social projects and supporting local businesses. 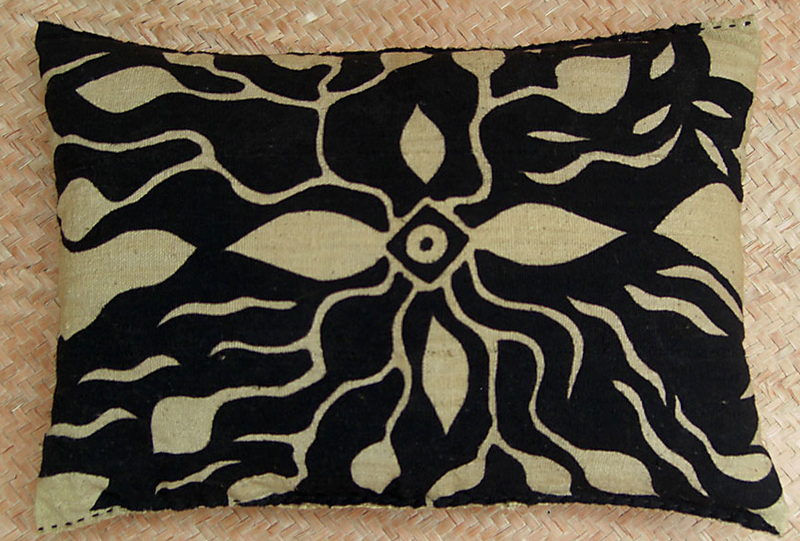 The organisation been founded in 2005 by Kati Ertel, nomad designer, artist and textile expert. Kati is a French textile, interior and fashion designer and textile expert with the aim to preserve natural cotton from Africa and traditional techniques of textile making and weaving. Kati’s first aim when she founded this organisation was to promote and preserve the ancestral art of Malian mud cloth Bogolan, and so by extension natural cotton, fabrics and dyes and traditional techniques in textiles making from Africa. Kati has been spending most of her time working in Mali since 2002, been traditionally initiated herself to the Art of Bogolan and is herself now a recognised and respected as a Bogolan Master. She founded Bolo’no Mali to put together a structure to be able to teach and share knowledge and support local artists and designers and in that way preserving tradition through evolution, while promoting their work in Africa and Europe. The main idea behind Bolo’no is to create cultural and business exchanges between Africa and Europe in an ethical and transparent way. 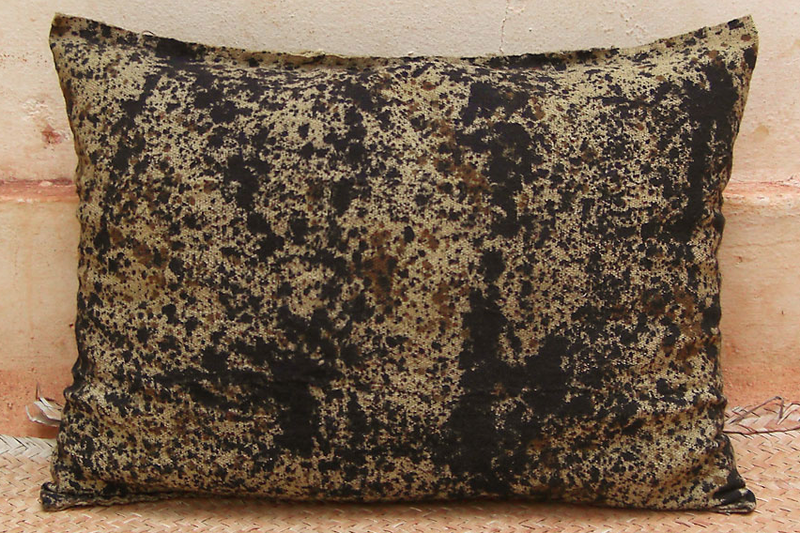 Bolo’no is sourcing, using and making natural fabrics made out of natural wild Malian Cotton. They are using natural fibres and dyes. Supplying energy through solar panel for the Bolo’no workplace and gallery, providing education and training to adults and children, sponsoring children education, recycling by using fabric scraps and/or mixing second-hand clothing to create Accessories, Artisanal/Craft, Babywear, Fabrics-woven, Interior products, Scarves, Womenswear. Ethik-All is a new promotion and PR boutique offering event management, promotion and PR pay as you go services to small and start-up businesses and independent artists and creative. 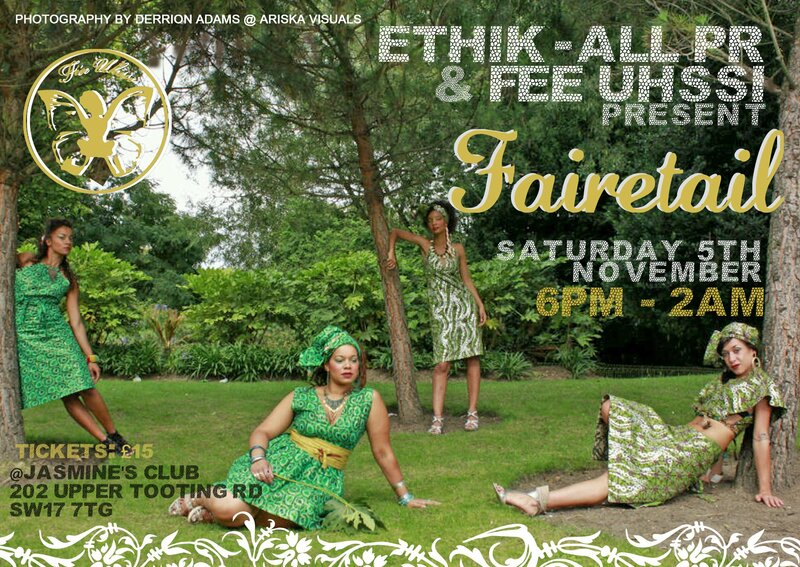 Created by Felli Uhssi Ubrette aka Fee Uhssi, PR consultant and Fashion Designer founder of Fee Uhssi Multicultural & Ethical Fashion, and Ayo Wallace freelance event organiser. The idea behind Ethik-all is to provide network opportunities, and support to small and start-up companies to help them planning their PR and promotion strategy according to their needs, capacities and budgets. Ethik-All PR is working with a team of freelance experts in marketing, PR , Fashion, art and music industries to offer the best quality advices and services by sharing their expertise through seminars and workshops, one to one consultancies, event organisation and management and strategy planning.